Inhorgenta Munich will be attracting exhibitors and visitors from around the world. Once again, the international trade fair offers significant room for innovations. Engraving robots and printed jewellery are just some of these. Next to pristine jewellery and the latest functions of smartwatches, people will also be able to see how the jewellery, timepieces and gemstones industry is profiting from technological advances. In particular, Hall A2, Technology & Bijoux, offers visitors a wide spectrum of innovations with its more than 200 exhibitors. Aside from providers of store fixtures, security solutions and even trending jewellery, even workshops, refineries, techniques and electronic data processing will quickly become topics of conversation. “In Hall A2, jewellers, watchmakers, goldsmiths and designers will gain valuable insights into how innovative technologies will permanently change processes and products – and which opportunities will arise as a result. 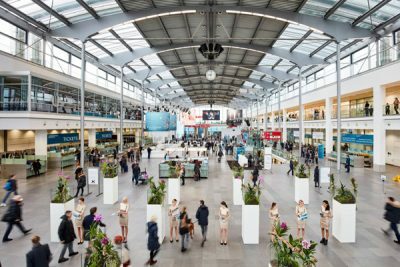 What’s more, visitors will find everything they need at the trade fair to operate a successful business, day after day,” adds Mändlein, Exhibition Director of Inhorgenta Munich. A printer that produces gold, silver and platinum jewellery – 3D printing has long established itself in many different industrial areas. The innovative high-tech production process has now even made its way into modern jewellery manufacturing and presents an ideal complement to traditional craftsmanship. It allows for delicate forms that even for the experienced goldsmith aren’t easy to craft. What until just a few years ago seemed like a fantasy is now a reality: gold, silver and platinum jewellery produced by a printer – with precision at hundredths of a millimetre. A digital draft is used as a basis as well as special alloys in powder form. Within the 3D printer, layer upon layer of delicate jewellery and timepiece parts are produced through a laser sintering process. Heimerle + Meule is one of the manufacturers who will be presenting this process at Inhorgenta Munich 2019. 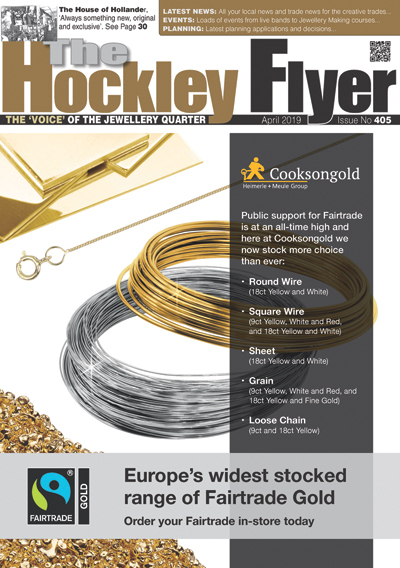 Germany’s oldest gold and silver refinery, they offer ‘direct precious metal 3D printing’ through their subsidiary Cooksongold. This innovative technology allows prefabricated parts to be manufactured through to final treatment on the basis of three-dimensional CAD files and by using a highly developed powder made of precious metals. Robots to take over the engraving process – The company Gebrüder Boley GmbH & Co. KG, one of the leading providers of technology for jewellery and timepieces, will be bringing – aside from innovative testing devices and modular and expandable clock and goldsmithing tables – an engraving robot. These computer-guided engraving machines accomplish their tasks with exceptional precision and speed. “Inhorgenta Munich is one of the few trade fairs in Europe that puts a focus on clock- and goldsmithing techniques, in addition to innovative technologies. This is particularly significant for owner-operated specialist shops, since today a well-run workshop is an important characteristic that sets them apart from pure online business,” says Michael Lutz, partner in the company.